Featuring Brazilian Jiu-Jitsu, Cardio Classes, Boxing, Kickboxing, Krav Maga, MMA & More! We are a full training facility offering Brazilian Jiu-Jitsu, Cardio Classes, MMA, Krav Maga, Mauy Thai, Boxing, Kickboxing, Wrestling, and more!!! 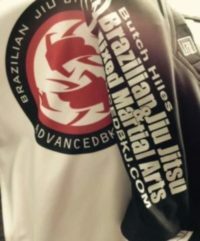 Train under the highest ranking BJJ instructor in the area as well as the only Marcello Monteiro Brazilian Jiu-Jitsu Association in West Virginia. Our Main location is in Charleston, West Virginia. However, we have additional locations in Oak Hill, Glenville, Bluefield, Buchanon, Weirton, Moundsville, and Logan, WV as well as Quantico, VA. We also have friends around the state and country that can help you train and meet your needs. 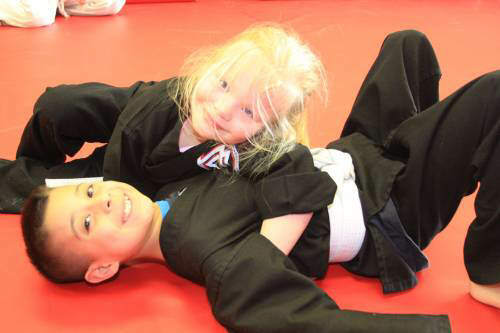 We are a fun, family oriented environment, that is designed to help each member achieve maximum health benefits and martial arts knowledge that will last them a life time. We have members that range from youth to seniors, professionals to students, and members looking for a fun, rewarding, hobby as well as athletes looking to compete. We can fit all of these wide ranges of people into one group because we all share the same common goal, and that is just to get as good as we can at a sport that we love, while helping others achieve the same goal. Read testimonials from UFC legends, top ranked competitors, and every day people by clicking here. Please feel free to browse the website and find more information about our classes, private lessons, seminars, and other opportunities. Advanced BKJ was the first, and only, team in West Virginia to successfully compete in all areas of combat and martial arts. In fact, it was the only gym where you could train with boxing champions, kickboxing champions, mma champions, jiu-jitsu champions as well as many other sport champions (wrestling, judo, etc) all under the same roof. Advanced BKJ, under Butch Hiles, produced more legitimate champions than any other training facility in West Virginia history as well as many championships that were the firsts of its kind in our state. Champions ranged from kickboxing, Muay Thai, mixed martial arts, boxing, and so on. Advanced BKJ, and it’s affiliates, have had people compete all over the world (Japan, Thailand, Germany, Canada, etc) and we have had people compete in the best promotions possible (UFC, Pride, K1, King of the Cage, etc). Many of our members have been on international television and pay-per-view as well as internationally sold DVD’s and VHS tapes. The training philosophy, methods, and ideology that brought many of our athletes success is now available to everyone via seminars and private lessons. Don’t miss out on the opportunity to expand your knowledge, have fun, and train like champions.